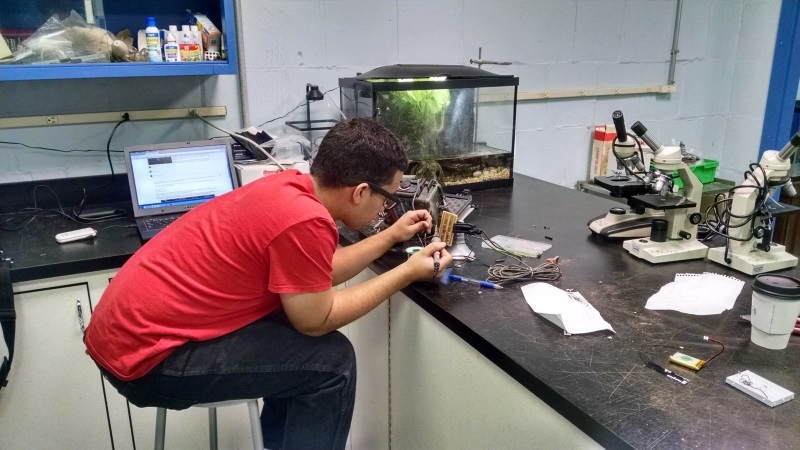 Back in June, greenSTEM helped students install web-connected soil moisture sensors at the Penn Alexander school and the Franklin Institute. These Soil Cell units were placed in garden beds and operate the same way as PWD’s other devices (which monitor green stormwater infrastructure), but with a slight difference: They use solar panels to keep the batteries charged. Over the last six months, these sensors have been virtually maintenance-free, requiring no battery changes. Check out the live soil and temperature data from the Franklin Institute’s ozone garden here. 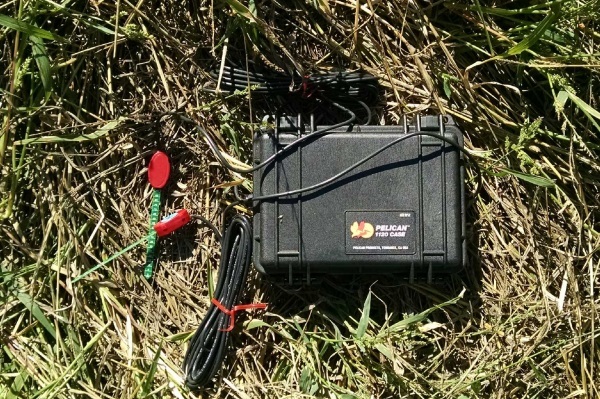 When we first deployed web-connected soil moisture sensors in 2013 (see: the Root Kit), the device relied on radio signals and a school’s wifi network to send data that students could access online. But what if there’s no wifi network to connect to? That limitation led us to investigate using a cellular network signal. This winter, we’re putting the finishing touches on the Soil Cell. Check out our tutorial: It walks you through the hardware assembly, power-saving code, and the setup of a data endpoint at cloud service Ubidots. We use the Adafruit FONA module to connect to a 2G network; in the coming months, we expect there to be multiple boards that are compatible with the 3G network. (That means there will be even more places where the Soil Cell can connect and send data.) We’ll be updating the tutorial as new pieces come into place. As we wind down 2015, it’s worth noting that Internet of Things technology (web-connected sensors, Arduinos, Raspberry Pis, etc.) is exploding. We’re shifting our Arduino code archive to Codebender and anxiously awaiting the $5 (!) Raspberry Pi Zero, the Particle Electron and the AirBoard—all due to appear in early 2016. These tools will make it easier than ever for students and citizen scientists to collect data and engage in new projects. Copyright © 2019 greenSTEM Network. All rights reserved.